Tiny, rapper T.I.‘s colorful wife totally ignored boxer Floyd Mayweather Jr. as he tried to get her attention on the red carpet of the BET Awards. 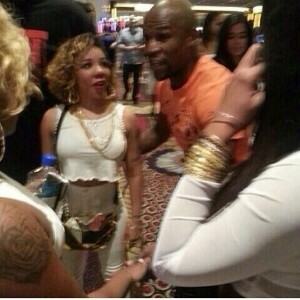 Tiny was intent on not going there with Floyd, who recently brawled with T.I. in a Las Vegas FatBurger..